Located in the west of Hunan Province, Zhangjiajie is known as a popular tourist destination for its unrivaled views. Thousands of peaks, plants and sea of clouds offer you a natural scene of the movie Avatar. Spring (April to June) and autumn (September to November) are the best time to visit Zhangjjajie. It is neither too hot nor too cold during the two seasons. You’d better also avoid visiting Zhangjiajie in a rainy day for the stone steps are wet and slippery. Normally, it takes 3 to 5 days to cover all the highlights in Zhangjiajie. The mountain views are the most renowned highlights in Zhangjiajie. The forests and streams produce both fresh air and beautiful views for you It is a good place for both sightseeing and relaxing yourself. Although Yuanjiajie is only a part of Zhangjiajie National Forest Park, it became even more popular than the forest park itself after the Avatar was released in 2009. On January 25th, 2010, the South Sky Pole, a peak in Yuanjiajie that looks like the mountains in Avatar the most, was renamed as Hallelujah Mountain. So you will feel even more close to the Avatar in Yuanjiajie. 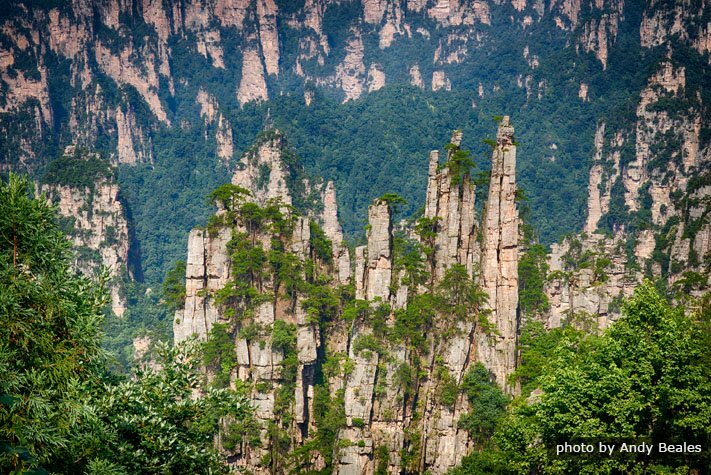 Opened in 1982, the Zhangjiajie National Forest Park is the first national forest park in China. The park was listed as a World Natural Heritage by UNESCO in 1992 due to the over 3,000 quirky peaks in the park. 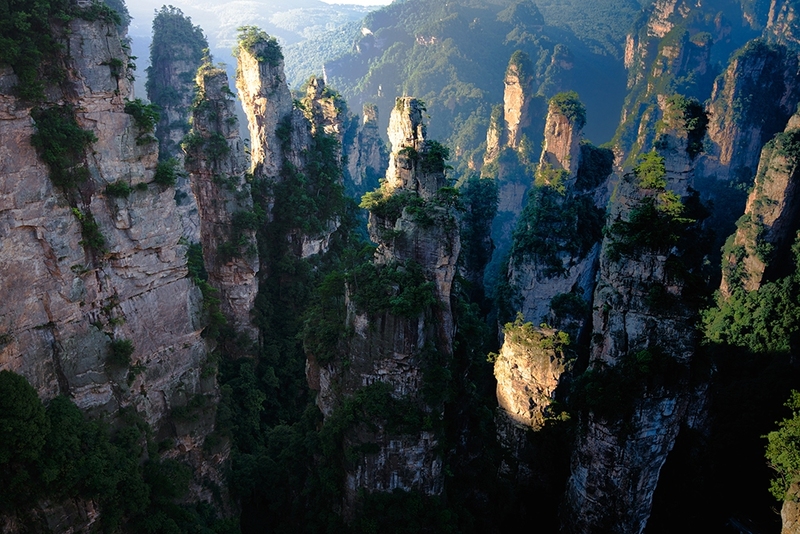 That is why James Cameron chose Zhangjiajie as Avatar’s scene. With a length of 370 meters and a height of 300 meters, the world’s longest and highest glass-bottomed bridge is located on the cliff of Zhangjiajie Grand Valley. It is absolutely the best option for thrill-seeking tourists who want to enjoy the wind in a space not so often reached by human beings. The Tianmen Moutain and cave are landmark sightseeing spots in Zhangjiajie before the world’s longest glass-bottomed bridge was built. The 131-meter-high Tianmen means the gate to the sky in Chinese language. In order to reach the gate, you have around 1000 steps to climb. Baofeng Lake is one of the least-polluted lakes in China. There is no factory near it and water in the lake is the spring on high mountains. There are Tujia ethnic group shows on sightseeing boats. You can also admire the Baofeng Waterfall on a small wood bridge above the lake. Get the best Avatar experience in 4 days! Explore more and spend less.